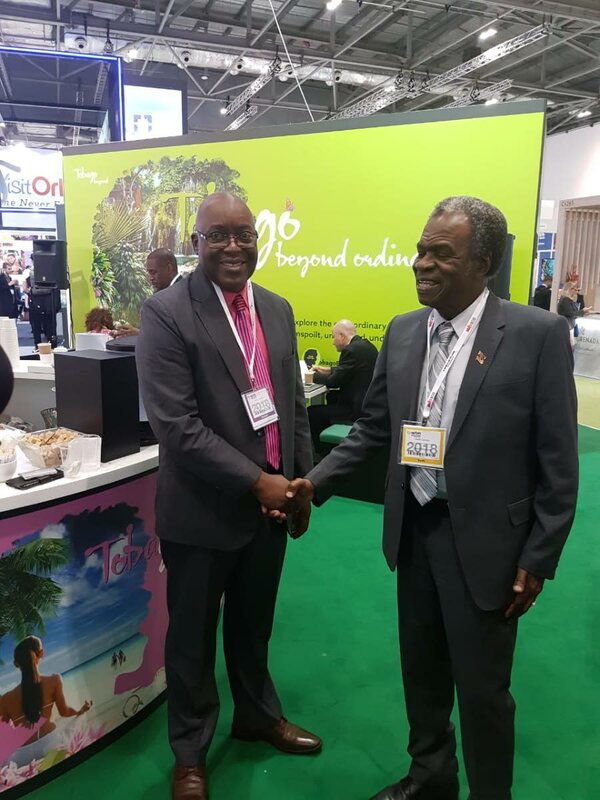 THA Chief Secretary Kelvin Charles, left, greets his predecessor Orville London, High Commissioner to the United Kingdom, at the World Travel Market, which is currently underway in the UK. THA Chief Secretary Kelvin Charles believes the island’s new marketing strategy is a big step in the right direction. Speaking with Newsday Tobago on Monday, Charles, who is currently leading a contingent to World Travel Market 2018 (WTM) in the United Kingdom for the first time, noted "Tobago’s tourism sector already has all the ingredients needed for success". The Chief Secretary said he is excited about this year’s WTM in particular, as he believes that the possibilities to increase Tobago’s visibility are high. Two weeks ago, the Tobago Tourism Agency Limited (TTAL) rolled out its new ‘Go to Market’ strategy and destination imagery during a Tobago Launch. The international launch is expected to be launched at World Travel Market, which began on Monday in London. The team also includes Secretary of Tourism, Culture and Transportation Nadine Stewart-Phillips and TTAL CEO Louis Lewis, along with other TTAL staff and tourism stakeholders. Reply to "Tobago ‘has ingredients for success’"